Welcome to the USSCA Wild Apricot membership database and contact management site. When you have logged in using your email, you can access and update your own member profile as well as pay your Class dues. ISCA is a 501(c)4 non-profit organization. 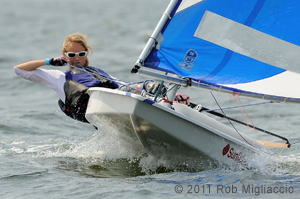 USSCA is the United States organization within the International Sunfish Class Association. ISCA is the governing body of Sunfish racers everywhere. The Sunfish Class offers diversity unmatched by any one-design racer. Young, old, short, tall, big, small, man, woman, world-class or just learning, we are a welcome and opening group of people who love our little boats. We are Olympians, World Champions and the single-handed class in the Pan Am Games. We are dedicated to racing our best while recognizing the Corinthian essence of the sport. We challenge you to find a more welcoming, open and friendly group of sailors anywhere. We are classic, competitive and fun! To promote and develop Sunfish Class one design racing worldwide under uniform rules, enhance the enjoyment of the boat and to provide an efficient medium of exchange of information and friendship among Sunfish sailors. To be recognized worldwide as a highly competitive and versatile sailing alternative for all ages and genders. The International Sunfish Class Association, Inc., is recognized in the United States of America as a 501(c)(4) non-profit organization under the Internal Revenue Service code.